Some might think this is an odd choice, but try to imagine the potential of this discovery! Although it is still in very early stages, Christina Lee and Freya Harrison have had promising results related to tests dealing with a 10th century potion for eye infections from Bald’s Leechbook to see if it really works as an antibacterial remedy. The potential that their work could save countless lives, and show how medievalists can contribute to the STEM fields, is enough for us to place it number 1 on our list. Ever since his remains were discovered in Leicester in 2012, many around the world have been fascinated by the story of the English king who died in battle in 1485. 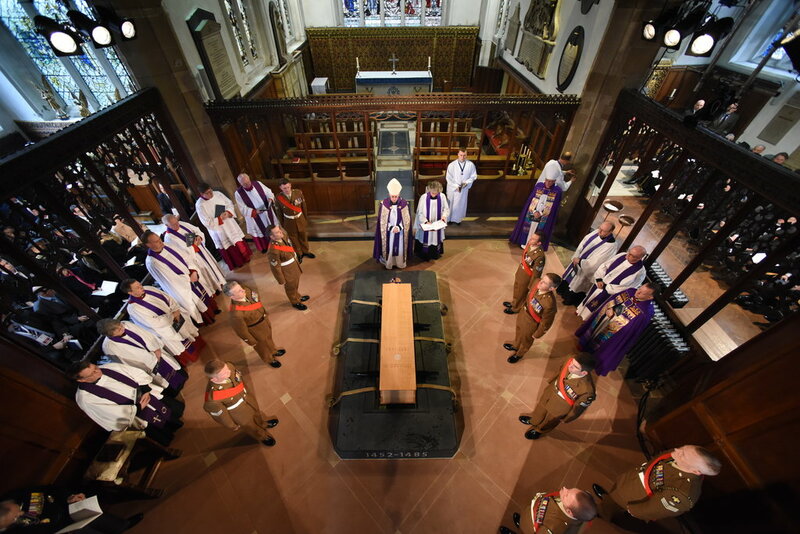 It was a long process, and generated it share of controversy, but he was finally buried at Leicester Cathedral on March 26th. For those who worked on the research related to Richard III’s remains it was also quite an experience. The 800th anniversary of the creation of Magna Carta was a good enough reason for large commemorations to take place throughout the United Kingdom and elsewhere. We also found out some new details about the document, while a 715 year old copy of it was discovered in Kent County. Another important event was marked this year – the famous Battle of Agincourt, which English and French forces fought during the Hundred Years War. Many new books were produced and events held, while media outlets looked to understand more about the battle and what it means. We just had to include this one! Thanks to Paul Booth of Keele Universitywe now know the story of ‘Roger Fuckebythenavele’.